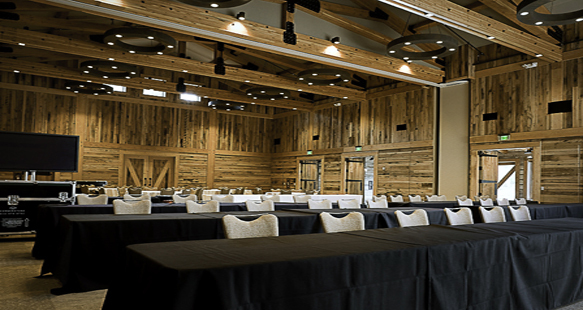 The Redford Conference Center was designed to be a green project from the use of reclaimed materials for interior and exterior surfaces, to the Structurally Insulated Panels used for the roof system and the 21 330-ft.-deep wells drilled for a complete geothermal HVAC system. This system has a 5 1/2 year payback. 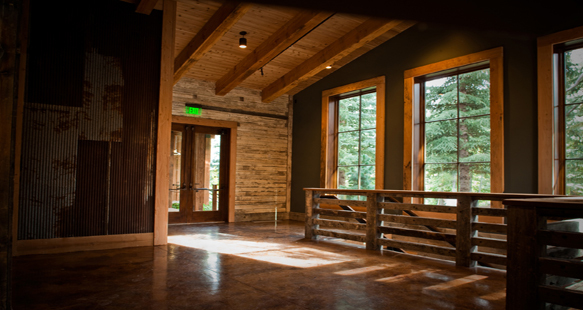 In fact, all the interior finish lumber was reclaimed from Montana, Wyoming or the eastern U.S. and includes barnwood, snowfence and corral boards. There is a geo-therm heating system and below grade “interior” grease trap system. 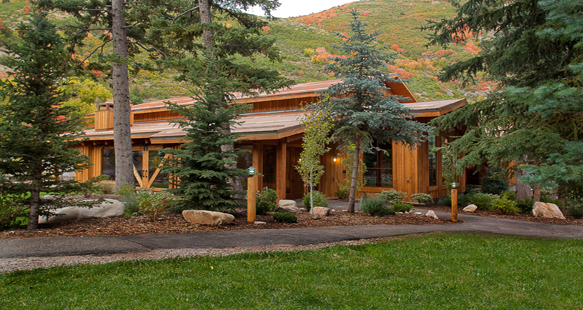 The project has the features of a local quaint rustic lodge as do all buildings at Sundance. 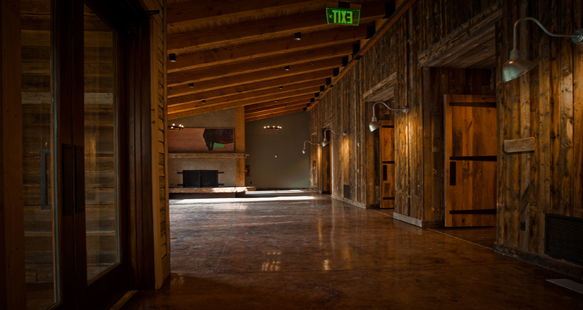 Exposed re-sawn glulam scissor trusses were used for the main conference room vaulted ceilings. 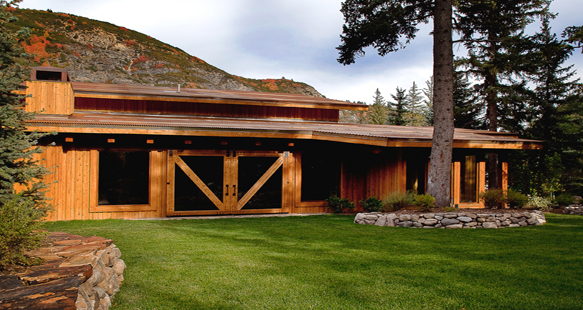 The foundation had large rock cast into the face of the 12-in.-thick concrete, a signature look for all Sundance buildings. The hearthstone is a locally quarried piece of stone that required only two cuts for installation. 95% of the lights are LED or florescent with hi-tech dimming systems to provide the desired lighting effects in each location. Carpet is Cradle to Cradle certified and 100% PVC free. main 8,929 square ft. / lower level 6,575 square ft.